GRAS were invited to design the SIX awards and exhibition which features the best work from the future stars of Scottish architecture. It showcases young talent and offers a rare opportunity to see work from all six of Scotland's schools of architecture together. 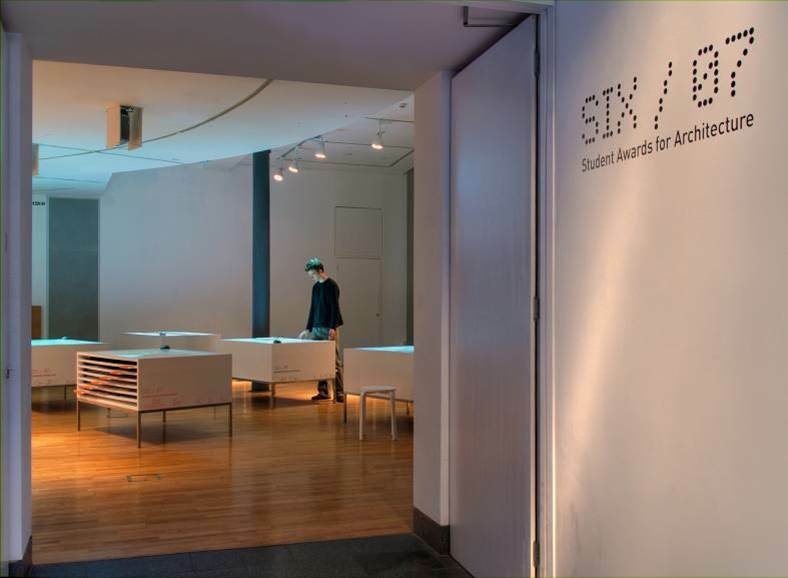 The SIX 07 exhibition aims to give a sense of importance and permanence to the student work through the use of digital media and by referencing to protective archiving systems. Where traditionally student work is presented on gallery walls, each school's work is presented centrally within six polished storage units. Images of the work are projected in an interactive format on top of the units with hard ‘archived' copies of the work stored in six sliding drawers. The pieces are intended to be highly interactive and their positioning in the centre of the gallery encourages interaction and discussion between audience members. Each box can be dismantled into a series of components suitable for transport to the six schools of architecture throughout Scotland. The exhibition was commended in the Best Exhibition category at the Scottish Design Awards in 2008. Photographs courtesy of Andri Haflidason. www.andri.haflidason.com.